With a programming theme of “The Future of Humanity: Where Will Humanity Be In 2075?” Silicon Valley Comic Con will feature a robust kid zone: the Kids S.T.E.A.M. Lab (Science, Technology, Engineering, Arts and Math) for the generation of attendees most likely to see the year 2075. Steve Wozniak’s pop culture and technology expo will take place the weekend of April 21-23 in San Jose. 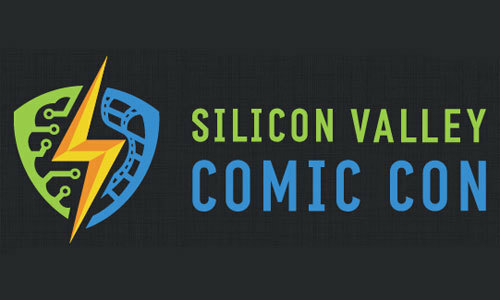 Aiming to both inspire and entertain, SVCC has revealed a roster of new celebrity guests, exhibitors and interactive displays specifically designed to cater to the kids attending the event. 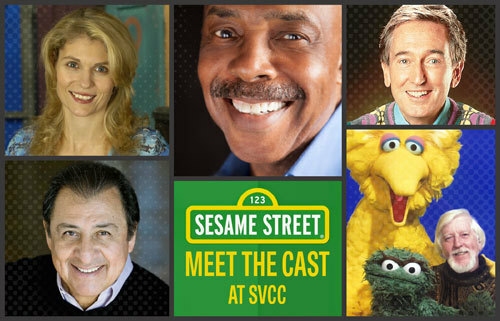 Joining the SVCC 2017 lineup of incredible guests are the beloved members of the Sesame Street cast, including Caroll Edwin Spinney (Big Bird and Oscar the Grouch), Alison Bartlett (Gina), Roscoe Orman (Gordon), Bob McGrath (Bob Johnson) and Emilio Delgado (Luis). Participating Kids S.T.E.A.M. Lab exhibitors include the Children’s Discovery Museum, NASA and The San Jose Public Library. From NASA’s Aeronautics and Robotics demos to interactive displays of vintage tech, kids of all ages will have a “blast!” Attendees can also create their own kingdom and Imagination Playground at the Children’s Discovery Museum of San Jose, release their inner Godzilla by building and destroying a Cardboard City, or explore the modern tech world with the San Jose Public Library (SJPL). Found a rip in your Jedi robe? SJPL has your back with their Emergency Cosplay Repair. The lab will also include fun DIY comic book buttons and photo booths. Official Disneyland park face-painter, Parnaz Gharah, will also be in the Kids S.T.E.A.M. Lab doing free designs. Special events and celebrity guest appearances will take place in the Kid S.T.E.A.M. Lab throughout the day, including children’s book readings, drawing demos, space exploration talks and more. To learn more about the new Kids S.T.E.A.M. Lab and purchase tickets, visit: www.svcomiccon.com. Have you ever visited Comic Con? Comment below!